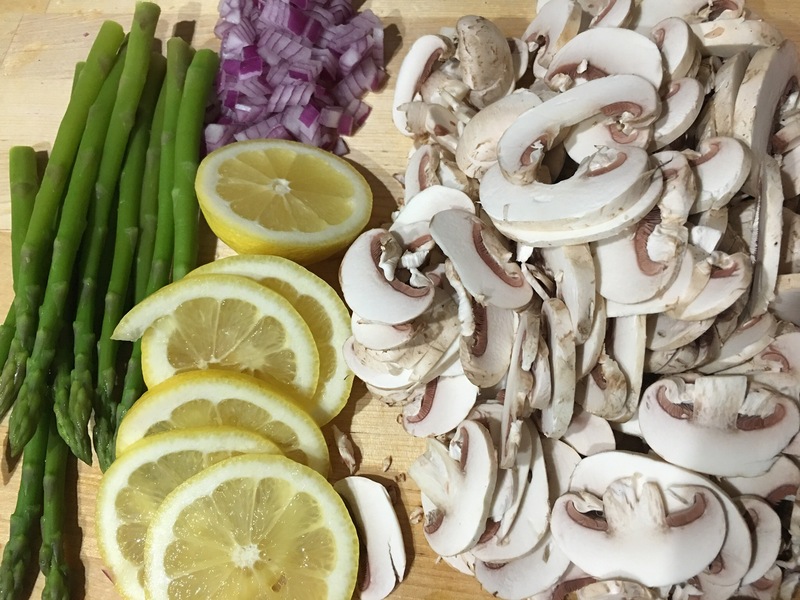 Chicken breast with lemon cream sauce over pasta with mushrooms and asparagus. – Hurried Home Chef! 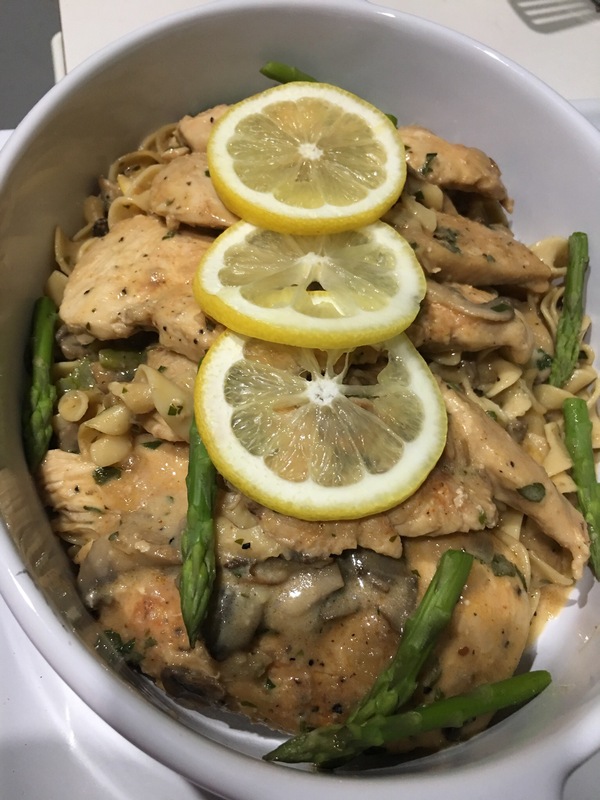 Chicken breast with lemon cream sauce over pasta with mushrooms and asparagus. Here is another staple I make often. Some people find it hard to use more than one burner on the stove at the same time, but give it a try, you can do it! Step one, boil water for the pasta. Put another pot on to heat up, about medium high. Then wash the chicken breast with apple cider vinegar, pat dry. Cut them in half lengthwise. 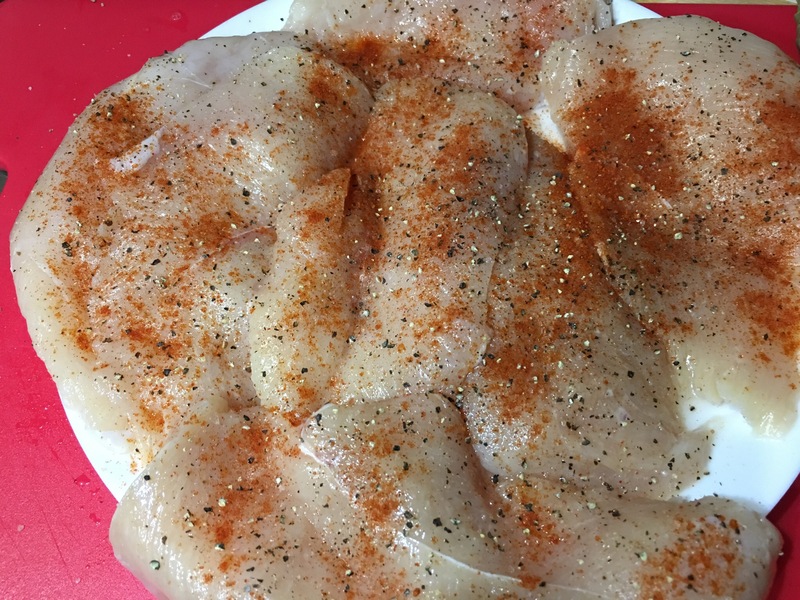 Season–I used Himalayan salt, black pepper, and cayenne. Start chopping the veg, onions first, into a fine dice. Then heat some EVOO, and start cooking the chicken breast in batches. You will need about 4-6 minutes per side. Then remove and place into a bowl and add another batch. Meanwhile, clean and chop the mushrooms. Cook pasta as well. Before the pasta is finished, add the asparagus and blanche for a few minutes, then rinse in cool water. Once the chicken is done, cook the onions. Once the noodles are done, drain, then start cooking the mushrooms in a little butter. 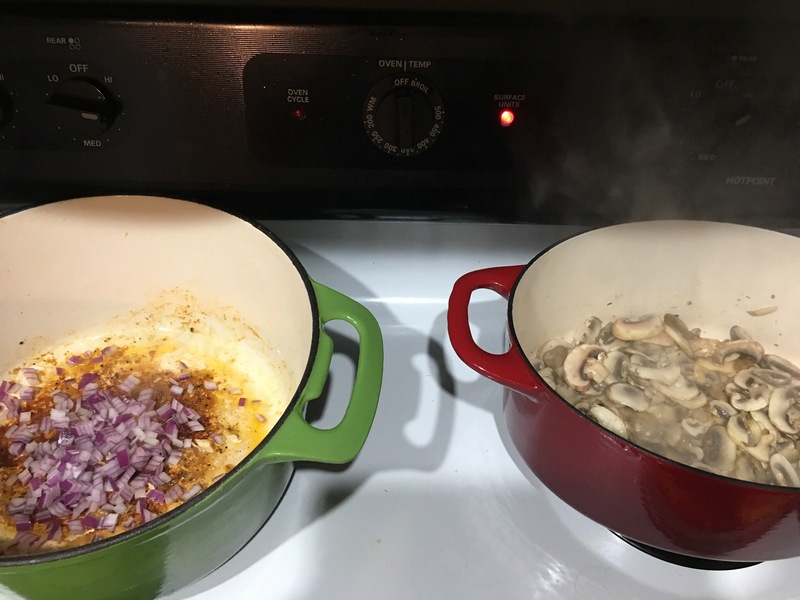 Let the mushrooms brown BEFORE you add salt. Sweat down the onions, add some chicken stock to get the bits off the bottom. Then make a rue, 2 tbsp butter, 2 tbsp flour. Then whisk in 1.5 cups of chicken stock. Add salt to the mushrooms and some ground garlic. 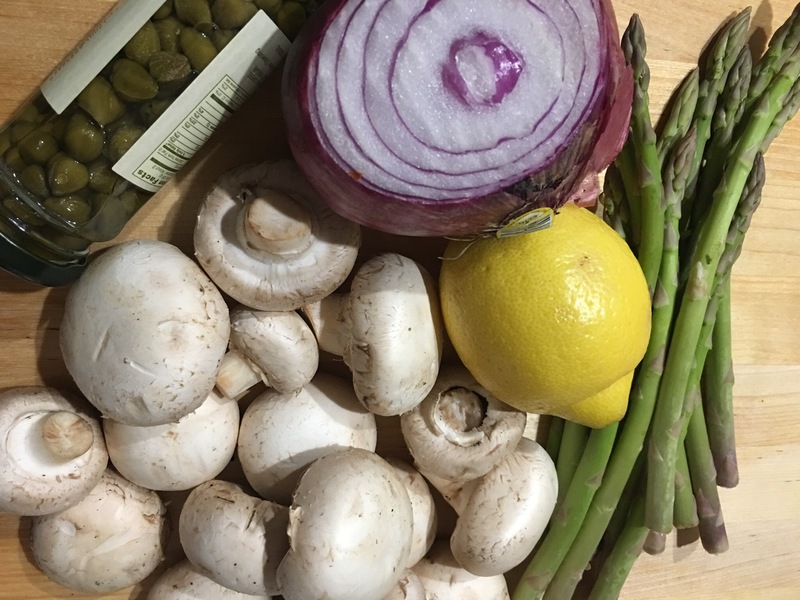 Once the sauce has thickened up, return the chicken to the pot, add the cooked mushrooms, dice the blanched asparagus and add it. Then gently stir in the pasta (or serve it separately–depending on your crowd). Squeeze in the juice of half a lemon. Add a bit of half and half or cream to help with the sauce. Once the sauce is boiled down enough and to your liking, plate it up. Add some parsley on the top (I keep this chopped and frozen). Optional addition of capers to the sauce. Give it a go! I also had brussel sprouts in the oven while this was happening, and baked a cake. But one step at a time. Next Post Lazy Sunday morning breakfast in! Baked eggs with asparagus and onions.